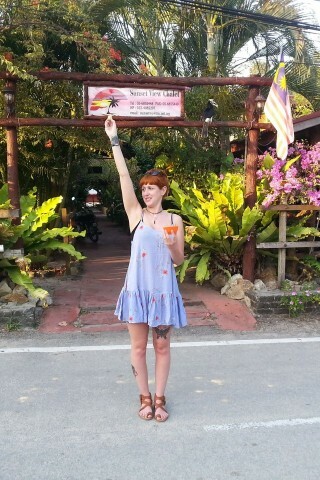 Pangkor is full of wild hornbills accustomed to people and their free-range presence is a sight to be seen. Early mornings at Nipah beach, birding enthusiasts will see hornbills perched everywhere. Some locals leave out bowls of fruit as encouragement, which has obviously been going on for quite some time. Sunset View Chalet has a more theatrical daily bird-feeding, where at sunset (varying from roughly 17:30 to 19:00) the guesthouse management offers banana slices to the birds, allowing guests and visitors a chance to feed the birds as well as get some incredibly close photographs. No fee is charged.